Are you looking for a dependable bakkie that will get you from A to B, but also a run around vehicle during the week and off-road on the weekends? Here is a list of the top bakkies in South Africa. 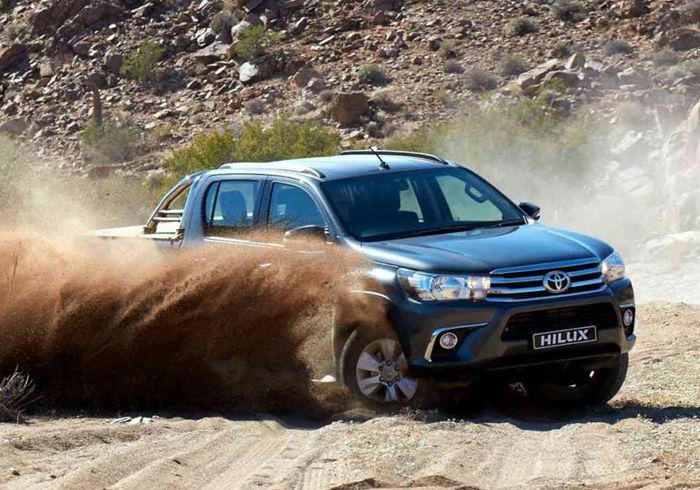 Ever since it was launched in 1969 the Toyota Hilux has been a firm favourite among bakkie lovers in South Africa. Its contemporary design emphasises its roughness, which makes this vehicle attractive to bakkie buyers. The Hilux is available in a range of styles including the single cab and double cab, with a variety of engine options. Pricing from R259 600 to R680 400. The new Ranger builds on its ‘tough truck’ character with detail changes to the exterior and interior. Advanced all-new 2.0 Bi-Turbo and Single Turbo engines introduced in conjunction with sophisticated 10-speed automatic transmission. Proven 2.2 and 3.2 TDCi engines remain an integral part of the line-up. Significant changes to the suspension improve ride comfort and refinement – particularly on rough surfaces. The Ranger also continues to set the trend with new technologies: Semi-automatic Parallel Park Assist, Passive Entry and Start, Innovative EZ lift tailgate which drastically reduces closing effort. Pricing from R287 100 to R678 200. The Isuzu bakkie ranges from the D-MAX single, double and extended options and remain a popular choice for bakkie lovers in South Africa. With a towing capacity of more than 3000kg this tough as nails workhorse is said to handle any obstacle on-road and off-road. Pricing from R249 900 to R615 500.